Penny C. Jennewein, a 2014 graduate of the College of Arts and Sciences, donated the records of the University of Pennsylvania Student Labor Action Project to the University Archives (UARC) in March 2014 (accession number 2014:016). The University of Pennsylvania Student Labor Action Project records are arranged alphabetically. 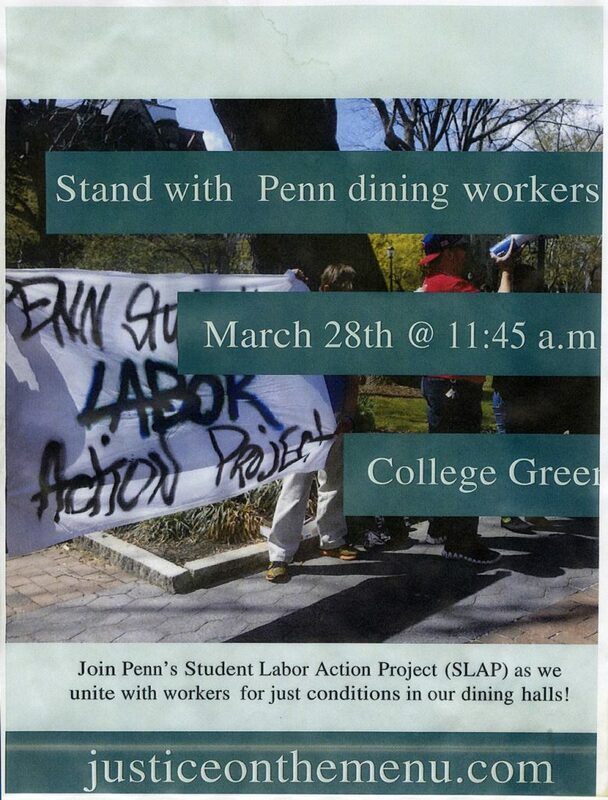 The Student Labor Action Project (SLAP) is a joint initiative of Jobs with Justice and the United States Student Association that engages students and student organizations from multiple campuses in economic justice campaigns. The University of Pennsylvania chapter of SLAP (Penn SLAP) was established in 2005.